"I always wanted to be a painter. Best of all, after music, I like to draw. But I always liked to feel wanted and no-one ever said to me, 'We'd like some more of your paintings', so this made me write." Laurie Lee (1914 - 1997), of course, became much loved as a writer, particularly for his autobiographical trilogy 'Cider with Rosie', 'As I Walked Out One Midsummer Morning' and 'A Moment of War'. But his graphic works have remained unknown until now. Laurie's folio was found under his bed by his daughter Jessy, after he died in 1997. Its discovery resulted in the publication of her book A Folio in 2014, in celebration both of her father's artistic talent and the centenary of his birth. A small exhibition was held at Stroud Museum that year, but this is the first opportunity for the work to be seen by the wider public. Laurie's ability was apparent from an early age and is particularly portrayed in the simple, yet sensitive pencil drawings of Jessy and his wife Kathy. During his life Laurie was surrounded by prominent artists including Augustus John, Sir Jacob Epstein and Dame Elizabeth Frink, and knowledge of the art of Picasso, Gauguin and Miro also influenced his works, as did his travels in Spain. Many of the works explore his fascination with feminine beauty. As a writer, Laurie was a keen observer of the world around him, and his talent is evident in his art too, revealing that his eye was as sharp as his mind. Why has it not been seen before? Perhaps because, as he himself said, nobody asked him to show it. Jessy Lee is Laurie Lee's daughter. In 2014 she published "Laurie Lee: A Folio", featuring his artwork. Harry Moore-Gwyn is a picture dealer specialising in 20th Century British art. Derek Newman is a Gloucestershire-based dealer in British Watercolours. The exhibition is the first public exhibition of Laurie Lee's pictures in London. Two small exhibitions were held in 2014, in Stroud in Gloucestershire, and in the members-only Chelsea Arts Club. Many of the pictures in the 2016 show will never have been exhibited anywhere before. 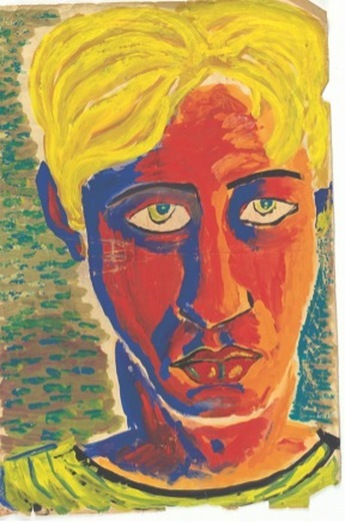 Access to "Laurie Lee - The Artist" was included in tickets to the Works on Paper Fair (11 - 14 February 2016).